MINNEAPOLIS, OCTOBER 8, 2014–The Minneapolis Institute of Arts (MIA) today announced a new partnership with four German institutions—the State Museum of Prehistory in Halle, Luther Memorials Foundation in Saxony-Anhalt, German Historical Museum in Berlin, and Foundation Schloss Friedenstein in Gotha—to celebrate the 500th anniversary of the writing of Martin Luther’s 95 theses. “Martin Luther: Art and the Reformation” is the first exhibition in the United States to examine Luther’s personal life and explore the impact of the Protestant Reformation through high and low art from the 16th century onward. Objects on view will include religious paintings, miniatures, and sculptures, satirical prints, and important manuscripts. Open in October 2016, the exhibition will also feature Luther’s treasured personal possessions. It is made possible through the generous support of the German Federal Foreign Office. The exhibition will place particular emphasis on Luther’s support of art as a tool for worship, teaching, and propaganda. Among the works on view will be paintings by Lucas Cranach the Elder, who was inspired by Luther’s preaching to develop didactic paintings that vividly depict the viewer’s choice between salvation and damnation. Cranach’s narrative paintings illustrate biblical stories in brilliant colors and ravishing—sometimes gory—detail, and his stylized portraits capture the humanist spirit of the age. Additionally, several vandalized objects by other artists will be presented to underscore the intense emotional reaction in the wake of Luther’s protest. A major section of the exhibition devoted to Luther’s personal life will feature recent archaeological finds from his boyhood homes in the towns of Eisleben and Mansfeld, as well as his house in Wittenberg, the base for his history-making activities. Excavations, undertaken in 2004 and 2005, uncovered household goods that reveal new information about Luther and his family. A selection of those objects will be displayed for the first time in the United States and offer new insights into Luther’s daily life, especially his childhood. “I am thrilled to collaborate on this groundbreaking exhibition with our German colleagues,” said Tom Rassieur, the MIA’s John E. Andrus III Curator of Prints. “Their support will make possible the display of the most beautiful and fascinating objects that illuminate both Luther’s life and his impact.” The 500th anniversary of Martin Luther’s posting of his 95 theses will be observed around the world on October 31, 2017. The Luther House in Wittenberg, Germany, will close in 2016 for major renewals of its permanent exhibition for the Jubilee Year 2017. During the renovation, key works will travel to the MIA for this first-of-its-kind exhibition. 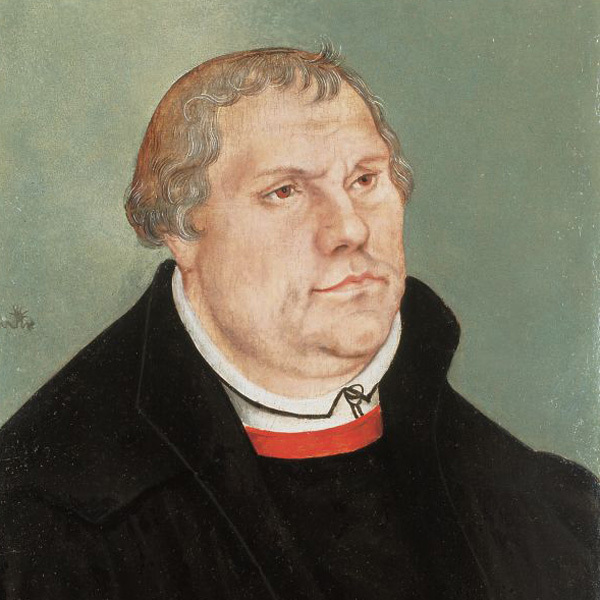 KEY OBJECTS ON VIEW WILL INCLUDE: • Paintings by Lucas Cranach the Elder, including: Martin Luther (ca. 1541), lent from the Luther Memorials Foundation in Saxony-Anhalt; The Death of Holophernes (1531), lent by the Foundation Schloss Friedenstein Gotha; and Law and Gospel (1529), lent by Foundation Schloss Friedenstein Gotha. • Old and New Testament, the so-called Ortenburg Bible (1535) lent by the Stiftung Deutsches Historisches Museum. • A recreation of Luther’s studio, including original furnishings and precious objects in gold and silver.